Rebecca assists clients in the areas of Commercial Litigation and Dispute Resolution, Wills & Estates, Building and Construction and Liquor Licensing. Rebecca grew up assisting in her family business in country Western Australia from a young age. This gives her a very personal insight into the issues facing her clients, including the employment, economic and other factors that make a business succeed or fail. Perhaps as a consequence, Rebecca has considerable experience advising and acting for farming and rural clients in relation to property/sale/contract disputes and complicated disputed estates. Rebecca has been part of the Cullen Macleod team for 10 years, and her dedication to our team is reflective of the dedication and loyalty she provides to her clients. 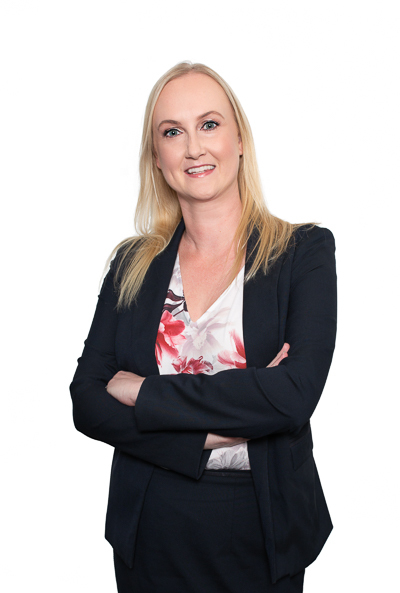 Consequently, Rebecca is consistently mentioned as one of the top performers in our clients’ feedback on her extensive legal knowledge and ability to manage difficult and complicated matters. Rebecca makes it her priority to understand you and/or your business and the objectives you wish to achieve. Where possible Rebecca will propose options that can avoid costly and lengthy court proceedings. business owners and private clients in all courts and tribunals in relation to breach of sale of business agreement, breach of contract, breach of vendor finance agreement, misleading and deceptive conduct, breach of Australian Consumer Law, etc. parties in recovering, through use of enforcement orders including seizure and sale of property, debt appropriate orders, statutory demands and other enforcement orders. Rebecca assists in the initial applications for liquor licences to the Licensing Authority, through to acting for clients in reviewing decisions and appeals of unsuccessful applications to the Supreme Court and Court of Appeal. Rebecca was involved in one of the most important cases in liquor licensing in recent years - the matter of Woolworths Ltd v Director of Liquor Licensing (2013) 45 WAR 446, which was a successful appeal to the Court of Appeal against the decision of the Liquor Commission to refuse a licence for the premises known as Dan Murphy’s Bicton. This matter remains the leading decision on the proper process the Licensing Authority must undertake when determining and hearing applications, and the legal framework in which the aspect of “consumer requirement” is to be considered and determined under the Liquor Control Act. Rebecca appeared as Junior Counsel in the Supreme Court in the matter of Woolworths Ltd v The Commissioner of Police  WASC 413 which was a successful Supreme Court appeal against the decision of the Liquor Commission to refuse a licence for the premises known as Dan Murphy’s Joondalup. The application for grant of a liquor licence was subsequently approved. Instituting and defending claims made by a person for greater provision from an Estate under the Family Provision Act. Rebecca looks forward to being able to help you. Contact her on rconder@cullenmacleod.com.au or 9389 3999 to discuss how she can assist you.